Last week, J.D. 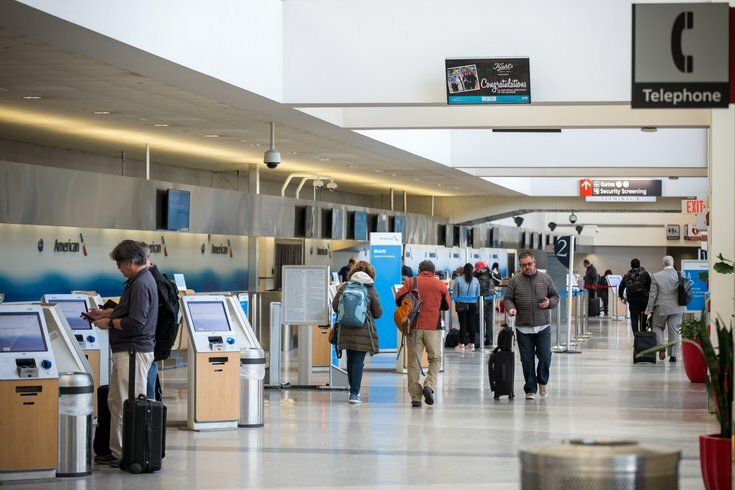 Power released its annual North American Airport Satisfaction Study, and it seems like Philadelphia International has some more work to do. PHL, which was placed in the category of “large airports,” received a score of 736 out of 1,000, tying it for third-worst out of 24 airports in the large category. PHL tied with Honolulu International Airport, while only Kansas City International Airport and New York’s LaGuardia were received less favorably. PHL earned a rating of three "power circles" out of five, from J.D. Power. PHL was considered in the "large" category by virtue of passenger volume – nearly 15 million in 2017 – while airports in Atlanta (50.3 million passengers in 2017), Los Angeles (41.2 million), Las Vegas (23.4 million) and Detroit (17.3 million) were in the "mega" category. The study itself is based on responses from more than 40,000 travelers, according to J.D. Power, and evaluates airports on six factors, in descending order of importance: terminal facilities, airport accessibility, security check, baggage claim, check-in/baggage check, and food, beverage and retail. John Wayne Airport in Orange County, California, topped the list of large airports with a score of 815, the best score of any airport in the study. For what it’s worth, the other side of the state is faring just fine. Pittsburgh International Airport, which was included in the study’s “medium airport” category, received a score of 801 and four power circles, placing seventh in the medium category. The good news for Philadelphia travelers? As far as improvement from the 2017 ranking is concerned, PHL is getting a little better. In 2017’s ranking, PHL was the second-worst large airport (LaGuardia was still worse) with a 715-point grade and a two power circles rating on J.D. Power’s scale. From 2017 to 2018, PHL's 21-point improvement and additional power circle certainly is progress, but there’s still a whole lot of room for improvement before competing with the best airports in the country.